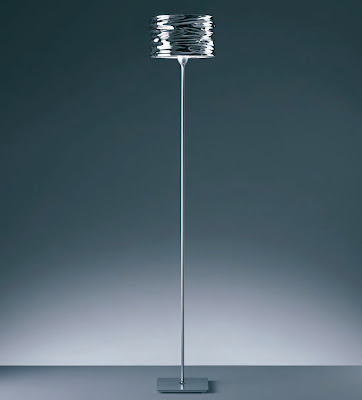 aquaCIL Comtemporary Modern CHROME Floor Lamp by Ross Lovegrove for Artemide Lighting - The Aqua Cil is a floor standing luminaire for direct and indirect halogen lighting designed by Ross Lovegrove for Artemide. The lamp is molded with the influence of water as part of the actual design process, resulting in a truly organic reproduction to the shade profile. The shade is in a mirror-treated aluminum which is available in polished chrome, polished metallic orange, or polished metallic blue. 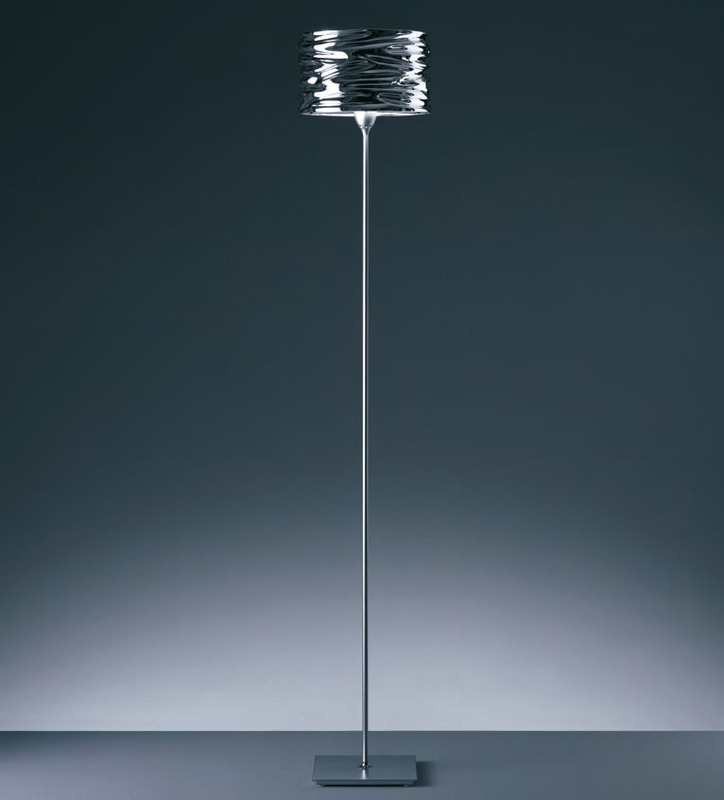 The floor lamp base is made of die-cast aluminum with a polished chrome steel stem. There is a touch dimmer on the body of the Aqua Cil floor lamp. The floor lamp has an intriguing design with an organic look to it.